Editor’s note: This is the fifth in a series of 14 team previews on NASCAR.com. Next up: Roush Fenway Racing on Feb. 7. A list of team previews already published is at the bottom of this story. 2017 standings: Dillon competed in his first full season at the Monster Energy NASCAR Cup Series level and finished 24th in the standings. 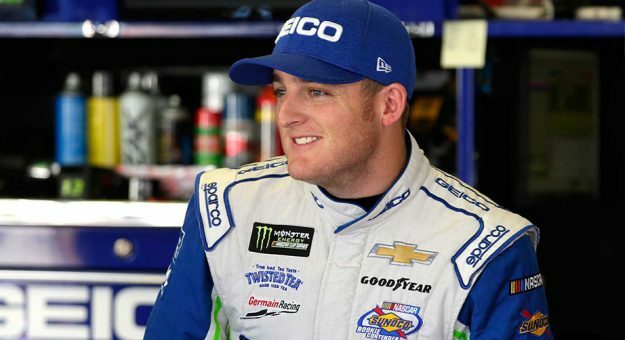 What’s new: Germain Racing enters the 2018 Monster Energy NASCAR Cup Series season with sophomore driver Ty Dillon. Dillon will have a new crew chief in Matt Borland, who signed a multiyear agreement in November. Germain Racing also will field (along with the other Chevrolet teams) a new Camaro in the upcoming season. 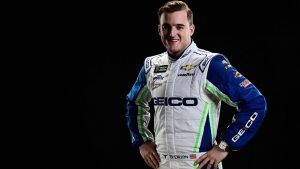 What to watch: Dillon finished his first full-time season at the sport’s highest level with an average finish of 20.7, but the driver of the No. 13 understands he has to be more consistent if he hopes to notch his first career top 1o or even a celebration in Victory Lane. A new crew chief usually means a new approach, and with the new over-the-wall pit crew rules going into effect in 2018, Borland has a lot to work out with his young driver and his team. However, Dillon is hungry for success and that can go a long way when trying to be aggressive during a race. Ty Dillon, No. 13 Geico Chevrolet: In November, Dillon and his wife Haley welcomed their baby girl and perspective quickly changed for the 25-year-old driver. Using that ‘new dad’ mindset, Dillon spoke in-depth on how he felt he improved toward the end of the 2017 season, especially when pressure began to mount. Having early success in both the NASCAR Camping World Truck Series and Xfinity Series caused for an adjustment period during Dillon’s rookie season. A pair of 11th-place finishes in the fall (Talladega, Phoenix) were two of his best performances of the season, and he also led 27 laps at Dover in the spring. Those are small victories that can lead toward momentum in 2018. Another stat that Dillon can use to his advantage? He averaged nearly six spots better at the end of a race than where he qualified. Being able to advance that position even higher at the beginning can only mean good things for the No. 13 team.